It is with an unexpectedly heavy heart (lets face it, 2018 was an awful mess) that we say farewell to 2018 and step into the unknown of 2019, will Brexit become a reality? Will our isle cast itself into the void of the unknown? Or will a knight in shining (rouge) armor guide us back to sense and safety? But you don’t care about that and neither do we, because it’s NEW YEAR’S EVE! It’s a time to chuck back some Jaegerbombs in preparation for the self-imposed social exclusion of dry January, smoke those last cigs for the last time (again) and find safe passage to one of the many 24-hour McDonalds that seem to surround the Lexington and which you, of course, won’t be visiting again because otherwise what have you spunked all that money on that gym membership for? That’s right it’s a White Heat NYE and I’ll Bet That You’ll Look Good on The Lexington Dancefloor with two rooms of like-minded souls Dancing Yrself Clean to the best indie disco, new wave, 80s bangers, left-field pop and disco hits until the fourth hour of the year of our lord 2019. Downstairs Dalston Superstore’s Sanjay will be breaking out the pre-millenium DISCO party so Everybody Dance like it’s 1999 because you Don’t Have to Take Your Clothes off to Have Fun. 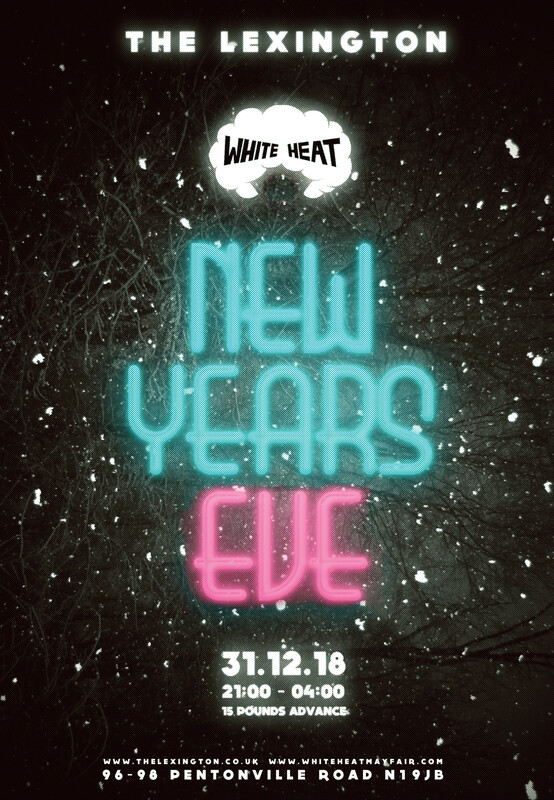 White Heat NYE parties have sold out 14 years in a row so make sure you get a ticket in advance to avoid disappointment and help make it a lucky 15!